TNPSC in the year 2012, has introduced the One time registration system to make the recruitment process more simpler. On successful registration each candidates will be provided an unique USER ID and a password. This USER ID will be valid for 5 years from the date of registration. Candidates can use this User Id for registering all the upcoming TNPSC Exams as per their eligibility. Is that Mandatory to do One time Registration? The NEW TNPSC One Time Registration is Mandatory for all TNPSC online applications. Need For One Time Registration!!! Preloaded Details and Images: You need not enter all the details every time while applying for the exams. Except few field items all the details will be automatically loaded when you login with your One time Registration Id. Also the images of the photograph and signature need not to be loaded again and again. Valid for 5 years: You can get application fee exemption (Not exam Fee Exemption) for all the exams you applying for the period of 5 Years. TNPSC One Time Registration Web Address. what are the interview and non interview posts in tnpsc group 2 exam? sir I have mentioned spelling mistake in my name, so how do change my name in one time registration. @Sharmi Abu: First finish the one time registration again (you have to complete it once again even if you have registered already before the new scheme)... then only you can apply group 2a..
Sir, i have one time login id, but some mistakes in the personal details... how can i edit the details..
Dear sir, I am also getting same message like verification code mismatch even I entered correct code for many times.. Is there any possibility to delete existing ID and create new account ID.. Plz guide me..
Sir i have already registered ma account ! But now I forgotten ma register number and pass word.. Wat can I do for it? sir,i loss my one time registration password..,plz help me to find the password sir. how long one time registration is valid? May i apply for all group exams with single one time registration. sir, i payed the amount through net banking for one time registration but i didn't get user id and password. what i want to do now. Hi admin,I done my one tym registration while entering all the stages in the payment mode also successful but I can't able to see my profile... What to do sir ??? SSLC & HSC month and year of passing which one we should enter month appeared for the exam like ( apr 2000) otherwise certificate issued month like (jun 2000) ? ONE TIME REGISTARION: IN this registration there is column called DEGREE1....what should i fill in CERTIFICATE NUMBER??? since i am a B.E graduate...which number i should fill in that column??? sir my old one time registration account has wrong details. so i started to use new user option. when i am doing so, when i click confirm button on first stage of registration ,IT SHOWS DETAILS ALREADY EXITS IN MY OLD ACCOUNT. "I CAN'T NEITHER REGISTER AS NEW USER OR USE MY OLD WRONG ACCOUNT". what to do sir??? please reply me sir? i have to apply for group 4a exam. i'v completed my registration of tnpsc grp-2(non-interview) 2015, i'v received my application number too, but the online application form didnt show any information about examination fees, just i paid rps.50 for one time id, so wat should i do to pay for examination fee. Is there any other process to proceed further. Also I did spelling mistake in my father’s name, I cant edit, pls tel me wat to do. I AM NOT ABLE TO COMPLETE MY REGISTRATION. BECAUSE OF COMMUNAL CATEGORY AND I I AM FROM PONDICHERRY WHAT CAN I DO? Same problem for me..please suggest..how to complete OTR? when i login to my existing otr which i created 5 months back, it asks for additional details which i furnished and logged in. in the otr my qualification column is blank except for sslc. is it due to the new update? should i enter those details again? sir, I have completed one time registration and I payed rs50 in the sbi. but still I didn't get I'd and password. pls reply me sir.. what should I do. i completed my details in one time registration.. but i can't pay for this.. how to pay through post office orusing atm card.. canara bank.. which option will i go?.. can u pls tell me clearly..
Sir , I entered one time registration loginid & Password But It says One Time Registration not completed . whatz the reason for it ? check for the folio number in provisional certificate,..
hi admin I hv my id and pwd.. but while loging in it shows that OTR not completed. but I got id and pwd while applying for group1 itself. what to do..
How to edit details in my ONE TIME registration ( I have to edit my Candidates Place of Birth). I am unable to edit ? in my old one time registration, my photo was in mistake. so i need to change my photo. in that id it was not possible. so i need to create new one. but on during of new registration was not created. because of already my details was registered. so how to create new registration id?? sir i have finished the one time registration but i had wrongly entered the initial of my mother. i cant change it what should i do now shall i make a new registration again. Anyone please tell me, how to register One time reg for pondicherry. It is asking for District and Taluk while entering Community details? Sir by mistake in one time registration I have entered sub caste wrongly.its not allowing to edit.few fields are not editable.please tell how to change these fields. Sir i put my SSLC certificate number instead of register number at the time of ID and Password creation. How can i change it? i too entered my sslc details wrongly,,,the query cell is also not attending my phone call..really confused ..pls help me wat to do now? i entered wrong month of passing in SSLC details noe i cnnot change it. how to change it? is there any problem? or can i create new one time id please reply . My community certificate was issued from kerala. Regarding the district and taluk from where the community certificate was issued there was no OTHER THAN TN OPTION ( BOTH IN ONE TIME REGISTRATION AND IN GROUP 2 A APPLICATION). PLEASE HELP. i have finished the one time registration but i had wrongly entered the initial of my mother. i cant change it what should i do now shall i make a new registration again. Dear All, In One Time Registration, what is the Month and Year of Passing I need to give for X and XII standards?? Is it Mar 2002 or May 2002?? I completed one time registration. Now how can i know whether i have successfully completed my application for the exam? I received my registration number via sms. Also, this is my first exam. I am BC non muslim. Should i pay exam fees of 75? I paid 50 while registering for one time registratoion. I entered in one time registration initial wrongly how can i change my initial please help me sir..
One Time Registration is waste of time and process doesnt allow us to change Name, Father Name, SSLC registration No, etc . But simply collects money. how can i change my photo in application. Selection procedure for grp 1 postings? sir, i have a doubt in applying for one time registration. about educational qualification . in degree which date,month and year of passing and certificate number to be given in that column. (Provisional certificate number and date OR Convocation certificate number and date) . which one is used to applying one time registration. please tell me . sir,I've valid OTR id & pwd. But,when i entered into that portal it shows one time registration is not completed to apply for group 2a exam.kindly give me the solution. sir i want to change my sslc date and year of passing in one time registration id.kindly give me the solution. I have entered all the details in the One Time Registration and clicked submit button. Then it is showing a Alert box to verify the entered details are correct or not. Once i clicked ok button nothing happens. If i clicked 'Cancel' button that time also nothing happens. So i am unable to complete One time Registration. Please help me. even if the code is right. sir,what should be enter in the column of degree1, degree2, post graduate1,post graduate2 in the tnpsc one time registration? sir, i have changed my one time id & password . but i didn't receive any mail regarding that. i forgt my id now. can u help me? i entered wrong month of passing in SSLC details noe i cnnot change it. how to change it? is there any problem? or can i create new one time id please reply? i entered wrong year of passing in SSLC details noe i cnnot change it. how to change it? is there any problem? or can i create new one time id please reply? I have not updated my diploma details.so pls help me to update my diploma details in one time registration.And where to find the certificate number for diploma. I have created OTR successfully and I have paid the fees of 81 Rupees for VAO application through netbanking.. I got Payment success message but the page failed to redirect to TNPSCsite for generating application print out..
Now i am not sure whether my application is recieved or not. 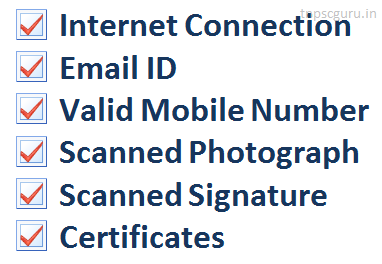 and cant take the print out..
My TNPSC Login ID is pothumanigopal and my registerd E mail id is shibikshag@yahoo.com.. Thanks and Regards, Pothumani Gopal. i completed all details. while login its showing primary information not completed.. i can view my profile.. but when i try to view a application i cant login..what to do..? Sir, I've a doubt in completing my profile for one time registration. Under educational Qualification, for a B.E degree which date, Month, year of passing and certificate number should be used (provisional certificate details or Convocation certificate details). Please anyone help me. Sir, i have entered my personal details and communication details. Then i pressed sumbit button. But i did not receive any otp message and email from tnpsc.. If i fill the same details again, this personal details already exists message came..
For login id activation i am not getting OTP through the mobile...what can i do sir..pls reply me..
sir my friend tnpsc some mistake please help me father name pahtila husband name add so rechange in father name one time first reg time this mistake so help me sir. my mail id ganesa789@gmail.com please answer my mail sir..
Sbi bank account is mandatory for one time registration? After filling details for one time registration it asked for payment details.. i cant find any other options other than sbi bank.. is it mandatory to have sbi account? Sir i wrongly typed community certificate no. how can i edit ? hi sir... i have tnpsc otr since 2012.. its has mentioned in the website otr is valid for 5years . so kindly tell me whether i should create new otr or can i use my old otr? sir i have an user id and password..but i registered before 2015. i have a message that your one time registration is not complete..what i have to do sir??? Sir I applied for group2a .. I applied for fees concession ..i am a BC category .. but I already got 3 times fees concession .. now what can I do for sir .. is my application will be rejected ..
hello sir, please explain how to renewal the one time registration id?